Building a safe and secure environment for school campuses can be overwhelming when you consider what is at stake. Because of this, knowing where to begin can be the hardest part. The best thing you can do is to start by evaluating your unique challenges and risks, outline a tailored plan to address them and use this blueprint to begin implementation. Within the classroom, administrators are tasked with helping to keep students safe. However, it can be a tricky balance to create a safe learning environment while ensuring students don’t feel as though they are being monitored while learning. Outside of the classroom, colleges and universities must also manage security spanning across multiple buildings, campuses and sports facilities, all while dealing with a diverse group of stakeholders including students, faculty, staff, and the larger community. The following serves as a guide for administrators to ensure they have the proper security plans implemented on each area of a campus. Before you can determine which technologies are best suited for your campus, you need to understand the threats and vulnerabilities, and where they lie. Start by conducting an assessment to both uncover these risks and determine if there are you must address any regulatory requirements. A risk assessment can also help you adhere to budget restrictions by finding exactly what your campus needs and providing the best solutions to address them, including recommended strategies for leveraging existing technologies in place. For example, upgrading to a new hybrid DVR system enables migration to an IP-based camera system over time. This way, both existing analogue and newer IP-based cameras can be used together, removing the need to replace all systems in order to upgrade your technology. With clearer insights into potential vulnerabilities, we suggest creating an emergency preparedness plan to help address the key risks identified in your assessment. This should include likely emergency scenarios and recommended responses to each. For example, in the event of a fire, outline the most appropriate response depending on location, including evacuation routes and emergency exits. Since every emergency is different, consider installing a method of communication for plan execution and sharing updates in real time. In a school environment, this can be challenging, as people are spread across a wide area. Make sure there is a clear chain of command to dictate exactly what the appropriate response should be. Emergency coordinators must be clearly defined and trained, and students and faculty should be made aware of who those individuals are. Ensure that you have back up coordinators in the event that the designated staff are unavailable. Designed to deliver varied and customized communications to large groups of people as part of a comprehensive system, Mass Notification Systems (MNS) are an increasingly popular solution for this purpose. Mass notification offers various forms of communication from simple text message alerts to mass emails, strobe lights or automated phone calls. For larger, open campuses, an MNS could include a loud speaker, which can announce a pre-programmed message or sound a siren. Social media is also a growing mass notification communication tool. Many universities and colleges use social media to provide regular updates such as weather-related class cancellations. Additionally, it can be used for timely emergency updates as it can allow for two-way communication between students, staff and law enforcement officials. You should also ensure your emergency plan includes personnel outside of the immediate campus such as local police, fire and health officials as well as local stakeholders such as civic leaders and surrounding public businesses. Effective security plans are supported by enabling technology to automate, streamline and simplify overall safety and security. The following is a list of the fundamental technologies you should consider implementing as part of your safety strategy. Video surveillance: Security professionals recommend that a school implement a video surveillance system into its security strategy. It can be both proactive and reactive with the ability to monitor an area in real-time as well as review saved footage. 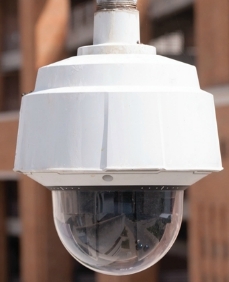 When efficiently managed, a surveillance solution can be a useful. Monitoring and remote monitoring: Many modern surveillance systems also offer remote management and monitoring, ideal for busy security personnel who are tasked with monitoring several sites across campuses. From a phone or tablet, it makes it easy to keep an eye on each location whether it is inside a building or an outside sports arena. Remote monitoring enables personnel to work offsite when needed, and can help to increase productivity and save time, so that resources can be allocated elsewhere. Additionally, ULC-certified monitoring can be critical in helping to address alarm events as they arise. Video alarm verification as well as a variety of other monitoring services such as critical condition monitoring can help to ensure that your campus is being supported 24/7/365. Access control: For colleges and universities, there is a constant flow of students, faculty and visitors who are coming and going, so it is important to provide a clearly marked visitor entrance that provides a welcoming environment for guests, and also controls access to the campus. This is especially important for after hours or when school is not in session, when students may need access to portions of buildings for research or studying. Having an access control system in place can help administrators keep track of visitors while also helping to protect students and faculty. Wireless card readers for interior doors are a great option for many campuses. Not only are they a budget-friendly technology, but they also secure individual rooms more effectively for students and staff than traditional lock and key systems. Additionally, by eliminating those antiquated systems you also eliminate the need to replace that hardware every time an incident occurs or a faculty member with access leaves the university, which can be costly as well as a hassle. Furthermore, you can combine an access control system with a video intercom and a visitor management system, which can save ID information into a database for future reference. Not only does this save time by automatically populating fields with the visitor’s photo, contact information and the last time they accessed campus buildings, it also helps administrators keep better records of who is on campus. This can be helpful should an incident occur by ensuring everyone is accounted for or by helping authorities determine any suspects. Addressable fire detection: Another example of a mass notification technology, addressable detection can pinpoint the origin of a fire condition, allowing responders to locate the source in a timely manner. Similar to other MNS technologies, it offers the ability to play different tones or messages to targeted areas within a building, providing clear communication and direction – whether that be to shelter in place or move to a different location. The combined feature set of addressable detection and notification provides a more reliable fire alarm solution and a safer educational environment. Safety on campuses will remain a top priority and as new challenges arise, security providers and integrators will continue to adapt and design technologies that address emerging threats. Being prepared and planning your security strategy ahead of time can be lifesaving. Look at the bigger picture and consider your roadblocks, from there begin pulling together a strategy taking it one step at a time until you have a plan you are confident in implementing. Taleen Merjanian is corporate marketing manager at Tyco Integrated Fire & Security (www.tycoifs.ca).